October 2nd is celebrated as Gandhi Jayanti. It is a national holiday in India to mark the occasion of the birthday of Mahatma Gandhi, the “Father of the Nation”. I wanted to try a craft that’s relevant to Mahatma Gandhi in the craft class this week. When it comes to Gandhiji and telling kids about what he preached, two things always come to my mind – The Charakha & his 3 monkeys. 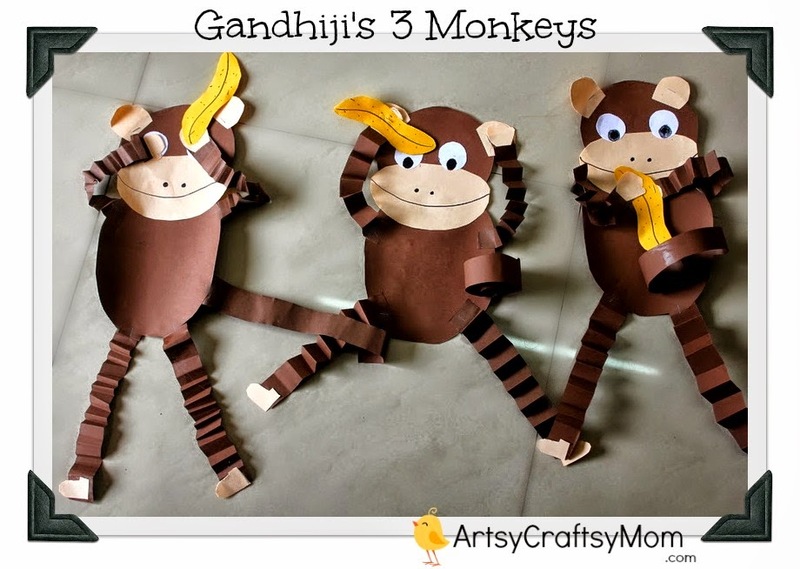 We started the class with a brief intro on Gandhiji, why he was famous, what he did for our country & then his preaching..
My little monkeys had fun depicting these 3 emotions ..
Cut out 1 oval shape from the light brown paper slightly bigger than the monkey’s face. Optional ( Cut a banana shape with yellow paper) and stick on. To make it easier for you folks, I have a Printable that you can download for free. It makes a Cute little monkey and can be printed on an A4 sized paper. 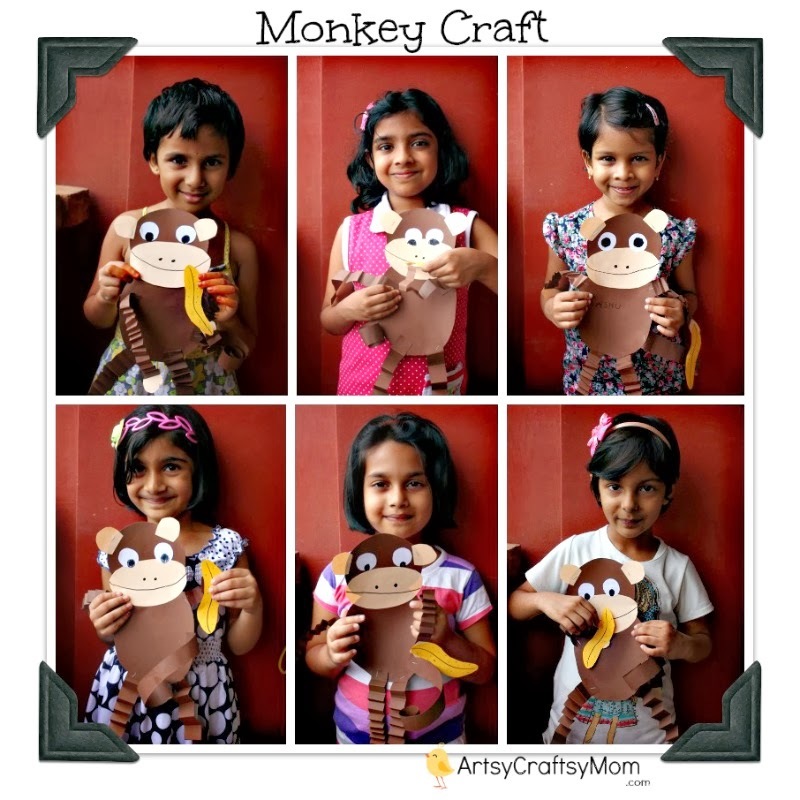 Here are the kids with their very own monkey from the craft class.